Let’s Start With Some of the Costs of Running a Business . . .
. . . specifically, our drone photography business. There are many operating costs spread across aerial photography operations. 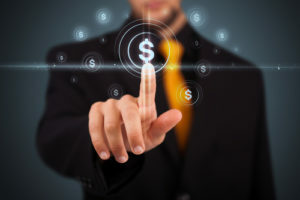 They include: drone hardware, accessories, digital camera, camera glide, desktop computer, laptop, tablet, software, office expenses, Internet access, desk phone, mobile phone, aviation liability insurance, FAA certification, transportation, accounting, banking, taxes, etc. These costs are spread across all of our services. Is a Drone Shoot that Complicated? From there, we look up the location on Google Maps; then check against the FAA’s restricted flight zones. We can fly in certain areas, but others are off limits for drones. Please read our blog. We then hand-chart the flight requirements onto a hard copy from Google Maps. Tools include self-developed programs to calculate altitudes, speeds, camera tilt angles, fields of view, etc. We know how to translate the client’s requirements into drone commands and can visualize what the camera’s field of view will look like. We’re good at this, very good. Usually, we get our shots on the first try! Flight requirements are then entered into drone flight programs. We use several, and select the appropriate program for the mission. Some examples: videography, surveying, mapping, etc. Programmed drone flights provide smooth, repeatable missions. This is particularly useful if the client wants us to fly the same mission again, such as for progress reports or seasonal changes. Driving time to the client’s site is one of our major cost drivers. We need to charge for extra driving time outside our service area. On site, we look over the terrain for obstacles that may pose a hazard to our drone, such as trees, power lines, light poles, water towers, etc. The fun part, flying the drone, goes relatively quickly. The preparation steps above help to ensure a successful mission; while collecting the required photography takes less than 20 minutes. If the client is on site, we download the photography to their computer or give them their files on a USB thumb drive. Otherwise, we upload their files within 24 hours to a cloud service and send them a link. We operate a fee-for-service business, and deliver unlimited copyright with our products. Returning to the office, we download the files to a desktop computer and back them up onto a storage server. Periodically, we back up client files to BluRay disks and retain them for several years. Of course, collecting our fees, processing credit cards, accounting, paying taxes, sending receipts, logging flights, etc., all add to the time commitment. If the client has asked for postprocessing services, we have a number of high-end desktop programs for photography, videography, and mapping. We’re experts with this software, taking the uncertainty out of the equation and delivering products that meet or exceed the client’s expectations. Examples of our postprocessing products can be found on our Portfolio page. 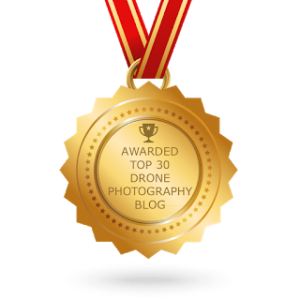 So, Just How Much Time Do You Spend on a Standard Drone Shoot? Six hours, which typically breaks down into thirds: (1) Client communications; (2) Mission planning; and (3) Executing the mission. Compared to most other skilled trades, our prices are very reasonable. In the end, we’re in business to earn money, but it just comes down to the fact that we love to fly! 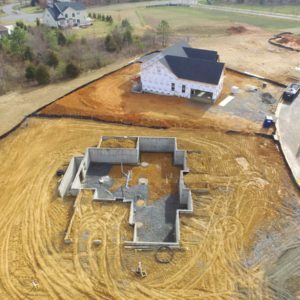 This is a recent video of pre-programmed drone flight profiles that showcases a residence for real estate marketing. These are just example profiles and we are by no means limited to what you see here. The sky’s the limit when it comes to aerial drone photography. Notice the production quality of the videos. The smooth flight paths and camera tilting are all controlled by pre-programmed flight profiles. We do this with special after-market drone flight control software along with advanced video processing, which together reduce the residual shake and vibration. The results are breathtaking videos, ideally suited for professional publication. The video speeds were adjusted to keep this film clip less than 90 seconds. For your video, you have as much say as you want in how the video will be edited, including brightness, contrast, color saturation, playback speeds for each segment, start points, end points, introduction, credits, logos, etc. We’ll provide you with a number of our “standard” drone flight profiles, review how you want your shots to be captured, and program our drone software prior to arrival on site. We are by no means limited to these flight profiles; the possibilities are almost endless. All this can easily be coordinated by phone or e-mail. When you use our drone services, you have as much say in the process as you like.